August’s Uncanny Member of the Month goes to Priscilla Aguirre. If you see Priscilla in the gym be sure to show her some love with a high-five or fist bump. She’s been kicking a** in workouts and putting in extra work to improve her skills and conditioning. She’s earned this month’s recognition! Uncanny Member Since February 2016, about 2.5 years. Years Doing CrossFit: 3 years, since 2015. I’ve always wanted to try it. I’ve always liked the higher intensity workouts combined with strength training that CrossFit provides. My primary form of fitness had always been running and light strength training at the gym. My best friend and I tried it out once in 2012 and she joined immediately after that and found a gym for herself. I had other things going on in my life then and I just didn’t have time for it. Around the time that I got a divorce, I was kind of moping around and didn’t really feel like doing much, fitness-wise. 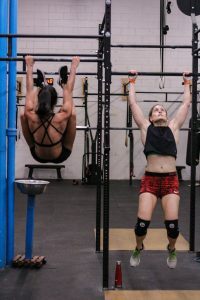 My best friend said, “okay, you’re coming to my CrossFit class with me.” She knew that I would go with her and I knew that it would be good for me. So, she brought me to her class and I’ve never really looked back since. The gym I was going to previously, CrossFit High Intensity, shut down unexpectedly. There was a large group of us from there who were looking for a new gym to go to. A bunch of us reached out to other gyms in the Orlando area and one of those gyms was Uncanny. It was the first gym that I tried after High Intensity shut down and I liked it so much that I didn’t need to bother with looking at other locations. So, I signed up and I’ve been here ever since. I like that I don’t have to think about what I’m doing. I used to hate walking into a regular gym and trying to figure out what I was going to do that day. And, even if I didn’t have an idea of what I wanted to do at the gym, sometimes a machine wouldn’t be available for me to use, or it would be too crowded and I’d have to wait around, and I wasn’t great at managing that. I like that I can walk into a CrossFit gym and the workout is set up for you, the equipment is all ready to go. You don’t have to fight over a barbell. It’s like fitness in a box! That was the main appeal for me, aside from the styles of workouts that CrossFit programming offers. Priscilla jumping up to the bar to knock out some toes to bar. The people. When I and the other members from my old gym came to Uncanny, the owners, Steve and Kuang, were so friendly and open to having us here. You could tell that they wanted us to join the community here, and not just because we were another source of business but because they cared about us and our goals. Aside from Steve and Kuang, the other coaches here are great too. They pay attention to everyone, especially the newer people who are just starting CrossFit. They want to make sure that you’re moving properly and have the right form. And, I’ve also made some really great friendships with other members here. What are your fitness goals? Have you noticed improvements since joining? 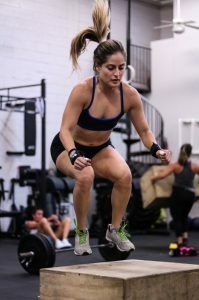 My fitness goals when I started CrossFit were to increase my strength, I’ve always been on the petite side so I wanted to focus on adding a bit of muscle. Other than that, I just wanted to be active and sustain my overall health, both physically and mentally. Working out has always been a great stress reliever for me. And, partially for vanity, to look good but also feel good about myself. Since I’ve started my CrossFit journey, wanting to get stronger has increased even more, but now I’m focused more on channeling that strength into my Olympic lifts. I want to work on increasing the weight when I lift and improve my technique. 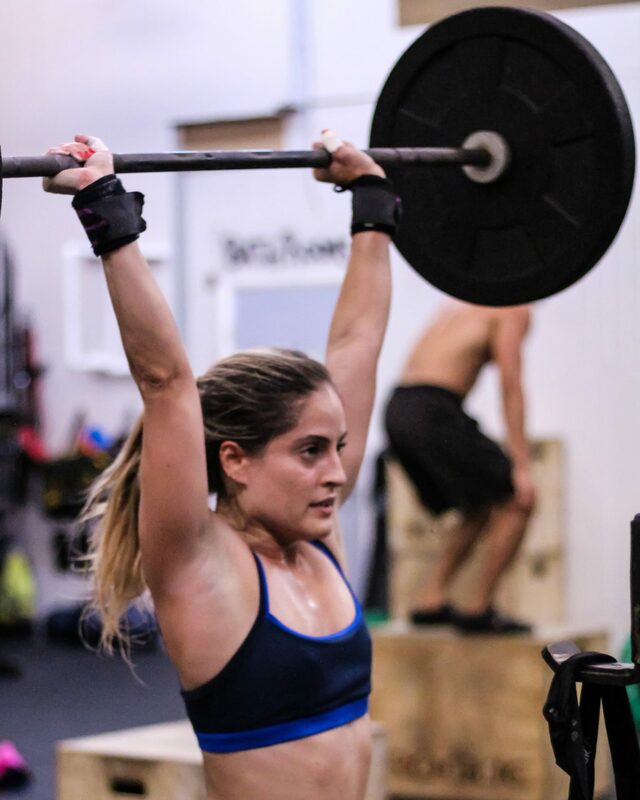 There are so many movements in CrossFit to work on. My goal is to ultimately learn every movement that gets tested in CrossFit if I can. I want to be well rounded. So not just work on improving my Olympic lifts but also work on gymnastics movements too. I’d never thought I’d care about learning gymnastics movements but now I do. I see people do certain movements and I want to do those movements too. Since joining Uncanny, I’ve noticed improvements in just about all my fitness goals. From strength, muscle tone, body fat percentage, to make a more confident person. I feel good about my body, and I’ve become more accepting of my body. The physical insecurities that I may have had previously just don’t matter anymore. That confidence has lent itself to other aspects of my life. When I come to the gym and workout, I don’t think about anything else that’s happened outside. I can let go of anything bad that may have happened that day and just focus on the workout. By the time I leave the gym each day, I feel better than when I came in. Favorite Olympic lift: Cleans. Snatches, but I’m not good at them (yet). Priscilla smashing some box jumps during the 6:00 p.m. class at Uncanny. Favorite movement(s): Cleans, deadlifts, and double-unders. Yes, double-unders, I like them. I was able to get dubs pretty quickly when I first started. Least favorite movement(s): Handstand push-ups are my nemesis right now. I can’t quite get them yet. They make me mad. Favorite workout: Annie! I like Annie because of the double-unders. I also like the combination of doubles with sit-ups-you don’t usually see sit-ups that often in a workout. It’s like the perfect little workout encapsulated in less than eight minutes. I like to do it every few weeks to see if I can keep improving my time. Least favorite workout: Diane. Diane is the only workout where I finish pissed-off. It’s very rare that I get pissed off by a workout but every time that I do Diane I’m freaking pissed. I just can’t get through those handstand push-ups. It’s one of the most frustrating workouts I’ve ever done and for some reason, it doesn’t ever get better. When Diane came up in the CrossFit Open this year I decided to scale it. I was traveling for work in Singapore when it was announced so I dropped into a gym there and attempted a few Rx handstand push-ups before the workout but that wasn’t working too well. I decided to scale it. If I had been here, at Uncanny, I probably would’ve tried the Rx version of the workout just to see what I could get through. Pizza and chicken wings with chunky bleu cheese dressing. I also love to go out and get a fancy cocktail. The Woods is a good place to go around here. Travel. That is what I spend all my free time doing. The top three places I’ve traveled to are Greece, Turkey, and Scotland. Greece for the laid-back culture, food, and the beautiful the Greek isles. Turkey because it’s an awesome place where the East meets the West in the world and you see so many different religions coexisting. Scotland for the people, their dry sarcastic sense of humor falls right in line with mine. They also like to drink and have a good time, which is what I’m all about as well. I’ve been fortunate enough to travel for work, but I’ve also been traveling on my own since I was younger. This year I was in Australia, Singapore, Ecuador, Cuba, Vegas, and I’m going to the Maldives next month. I don’t take a lot of time off from work but when I do I like to take time in big chunks so I can enjoy the places that I travel to. Anything hip-hop. I love the old-school hip-hop from the 90s, but I’ll listen to the mainstream stuff from today. “’Till I Collapse” by Eminem. I’m bilingual. My dad is from Ecuador and my mom is Puerto Rican. My parents taught me Spanish first as a little girl. I don’t use it that often now but it is always in the back of my head and comes back to me when I’m around native Spanish speakers. People are always surprised by that. I’m also a terrible swimmer. I can’t tread water very well. For some reason, I just sink. My best friend is a great swimmer and she tries to get me in the pool every summer and help me get better. What are a few items on your bucket list? Learn how to swim better. That is definitely a bucket list item. Trek to K2 Base Camp in Pakistan before I turn 40. So, in three years. I’ve done a trek to Machu Picchu, so 50 miles in 4 days. Before the K2 Base Camp, there is another trek along the way to K2 Base Camp called Concordia that I want to do.